This property offers a set of bungalows made in local materials in a secluded area with a lovely vista of the sea. It is a great location for retreat leaders who seek to have exclusive use of a property so to disconnect from the world and have a peaceful stay in a natural environment. A perfect venue for those who would like to offer the Balinese lifestyle near the sea at an affordable price. The property is located about 2 hours away from Bali’s airport and offers 8 bedrooms within 5 bungalows, all with stunning views towards the sea. All bungalows come equipped with Queen or King size bed with mosquito nets. In some rooms, you have an additional day bed which may be used by participants. Bungalows are made with wooden floors, alang-alang pitched ceilings and timber decks. The venue sleeps comfortably 14 participants, but if sharing, a total of 17 participants may be accommodated. There are no TVs in the room, allowing retreat participants to focus on the sounds of the birds and waves. Not being a luxury resort this venue offers a “beachy” feel during for your retreat. Please note: Internet connection may be a bit limited. With spectacular views, the yoga shala measures 10m x 8m which is large enough to accommodate 14 yogis with mats. Being emerged in nature, makes it an excellent choice for retreat leaders that would like to host a meditation retreat. The infinity pool sits on the water’s edge and there are plenty of chairs and umbrellas for relaxing. The grounds are well-cared for and many small seating areas overlooking the Lombok Strait. A choice of dining areas, all with views of the sea, means you can find an intimate place for two or share your food experience with your home cooked Indonesian meals. Massages may be added as an experience to your retreat accompanied by the sounds of the sea. 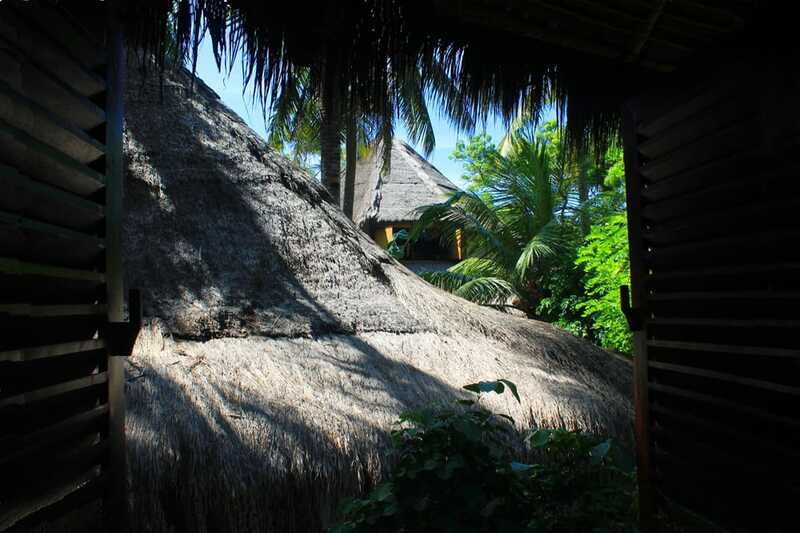 Snorkeling, Temple Visits, Swimming at a Water Palace, Rice Field Treks, Visits with a Balinese Heale, Etc. Please visit our options at Exploring In & Around Candi Dasa. If you wish to Host your Retreat in Bali at this venue, rates start at $ 75 USD per person / per day in shared occupancy during low season.